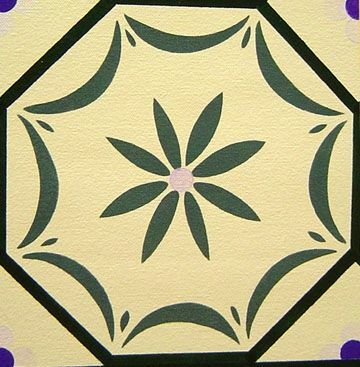 This floorcloth was commissioned by Andrew Galli, head of Studio Galli located in San Francisco. 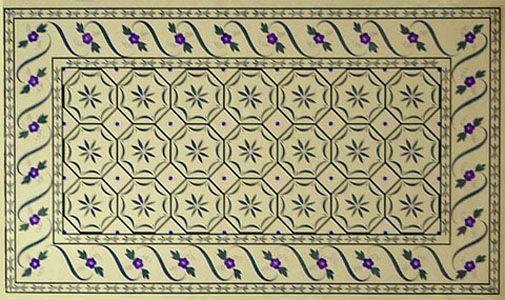 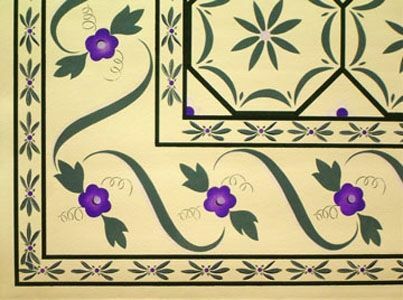 The floorcloth is based on a floor pattern found in Medfield, Massachusetts, circa 1795. 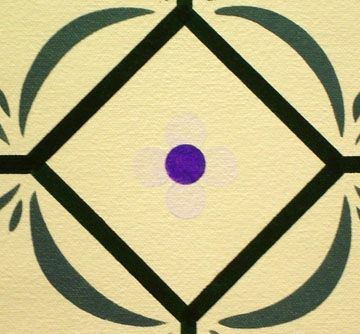 Andrew chose the pattern because he felt it resembled the hand painted Viennese china he grew up with. 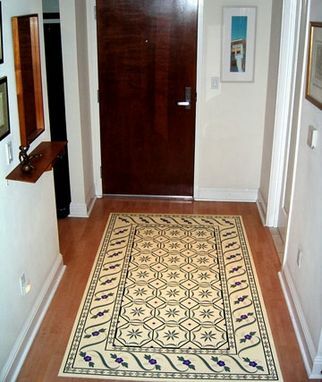 This floorcloth resides in the entryway to Andrew's home and never fails to receive compliments from visitors. 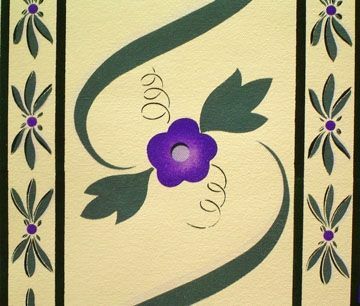 Dimensions: The floorcloth measures 4' x 7'.